You can chat with contacts listed in your contact directory. Chatting with contacts can also help facilitate warm call transfers and call parking. Click the contact to chat with in the contact directory to bring up their contact details. Click the Chat icon to chat with the contact. 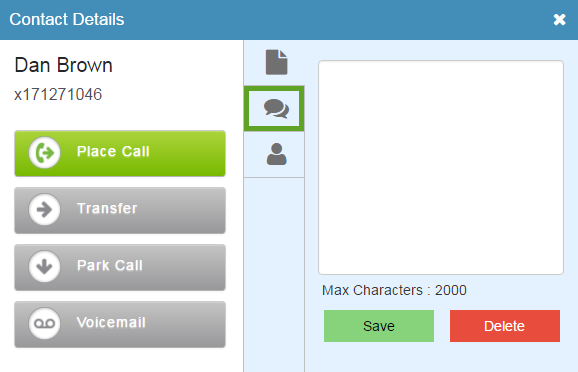 The chat panel opens in the contact directory.